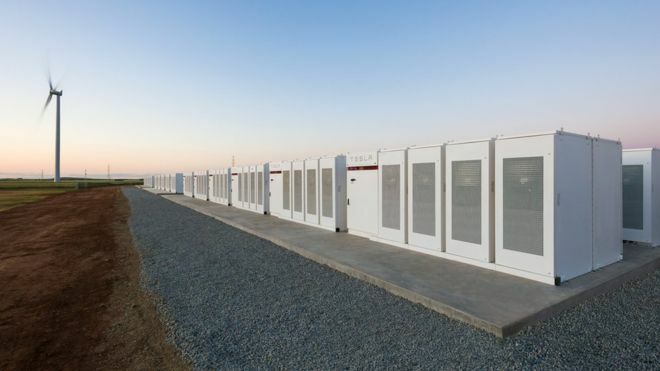 The world’s largest lithium ion battery has begun dispensing power into an electricity grid in South Australia. Tesla boss Elon Musk famously vowed to build the battery within 100 days – a promise that was fulfilled. “This is history in the making,” South Australian Premier Jay Weatherill said on Friday. Mr Musk has described it as three times more powerful than the world’s next biggest battery. 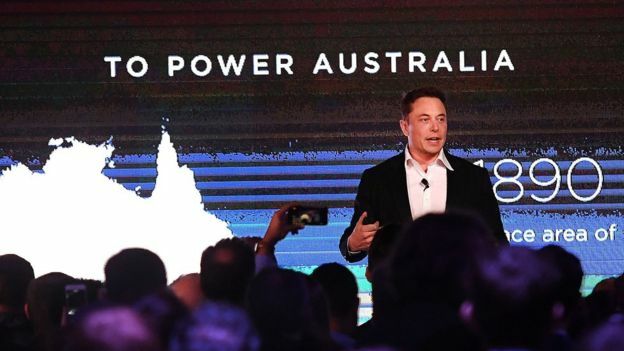 The idea began when Mr Musk was asked on Twitter if he was serious about helping to resolve South Australia’s electricity woes. Mr Musk said he was – adding that if the battery wasn’t built within 100 days, the state would receive it for free. The battery consists of a grid system that runs on the same technology that powers Tesla’s cars. In a statement, the company said the completion of the battery “shows that a sustainable, effective energy solution is possible”. Tesla will soon be facing stiff competition from power firms. 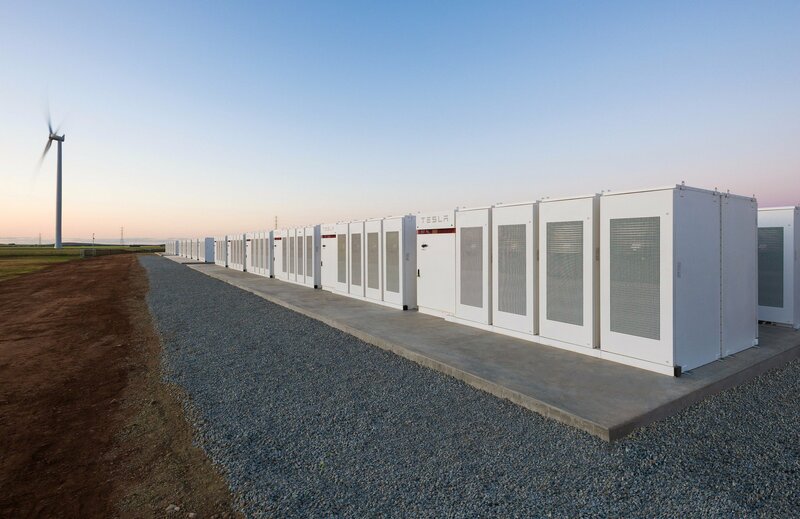 Next year, a battery storage facility 50% larger than Tesla’s in Australia will be turned on in South Korea. Chinese firms and many other renewable energy firms are also installing many battery storage systems for power suppliers around the world.